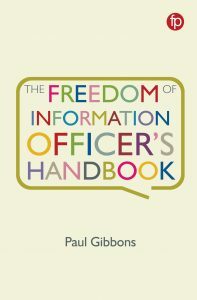 Paul Gibbons has contributed to podcasts that you might be interested in. Details below. 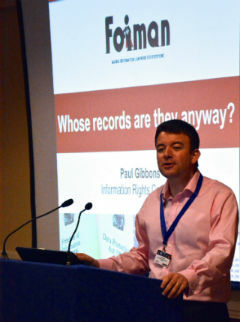 IRMS podcast series: email, records management and FOI (2013) – Paul is interviewed by James Lappin about the use of private email accounts in government and wider implications of email for records management and FOI. 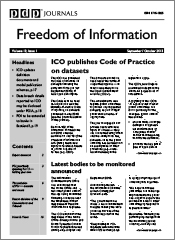 Journalism podcast: Assessing the impact of the Freedom of Information Act and its future (February 2012) – Paul joins journalists, Steve Wood of the ICO and others to discuss the future of FOI at a time during the post-legislative scrutiny of 2012 when it was in doubt.